Hi and thank you for reading my book The Shoebox. I am so happy to hear that so many of you have enjoyed my characters and the poignant story of Peter Michaels and his quest to become whole. I have come up with a few questions to assist in book clubs and group discussions and hope they will spark some conversation into the intricate world of Peter and Maddy. You can download a printer-friendly PDF version of the questions here. When we first meet Peter Michael’s and we are introduced into his world, what are a few red flags that for the reader, signal Peter’s detachment to Tara and their future plans? Amanda and Jake’s marriage sets a high standard for Peter and although he is marrying Amanda’s sister Tara, what are a few differences that Peter comes to recognize about the two sisters? 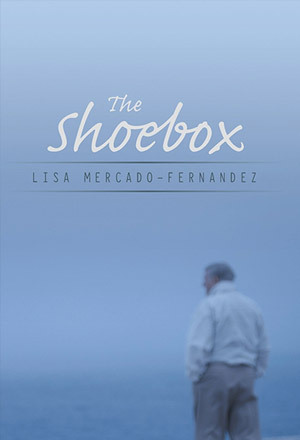 The Shoebox is the title and running theme throughout the storyline. How is the Shoebox a metaphor for Peter and his conflict? Explain Peter’s dedication to the Library project and how his fixation with the “portal to the past” mirror his own life? Why is it important to him? When Peter meets Maddy for the first time, whom does she compare him to and how does that reflect Peter’s role towards Maddy throughout the storyline? Frani’s diner is the backdrop to Peter and Maddy’s first meeting. During that evening what is Maddy drawn to and why is it important in their story? Why does Peter become irate when Tara touches the items in the shoebox and which item in particular conjures a reaction in Peter? How does Peter discover the whereabouts of Madeline Marsden and her family? During the Historical Library project meeting what is the oversight in Peter’s plans that causes the group to question his overall vision? What is the Chatham prize for the regatta that Peter and his Father win two years in a row called? According to Plato, what is man’s search for that enables him to become whole? In the book, the chapters are titled by one word. Each word has a general significance to its chapter. Select two chapter titles, for example, Chapter 2 is titled “Saved”, Chapter 3 is titled Resurface, and discuss how the title is the tie and message behind the theme in the chapter itself. What truly attracts Tara about returning home with Peter to meet his family? What are Peter’s “tells” (signs and specific actions) according to his sister Amy that allow the reader to recognize that Peter is frustrated or struggling with himself? What was one of the posters in Peter’s adolescent room of? In the flashback chapter, Consumed, what does Peter say Maddy’s scent is of? What theory does Jake develop when he and Peter are discussing the reasoning behind Maddy’s disappearance from his life? Describe St. Bartholomew’s school and explain a few of the details that should have given the reader clues in identifying it as a school for the blind. What is Peter’s favorite children’s book? Hint: He imitates the main characters voice with children. Describe Peter and Tara’s first meeting experience. When Peter meets Maddy at the school and accompanies her on her ground duty, what game does Maddy laugh about and say that the children are experts at? What is a natural object that reappears in Peter’s contemplative scenes where he is thinking about Maddy? Hint: He uses it as a description when asked to explain his love for her. In the Shoebox, the idea of signs play an important role in helping our main characters find direction. Discuss a few signs that Peter faces along his journey. In the chapter Immersed, it is clear that Maddy is afraid of death. What are a few things that Maddy mentions that reveal this fear? The art of foreshadowing plays a strong force in The Shoebox. Discuss a few examples. What was the name of Maddy’s Seeing Eye dog and how did she say he got his name? As Jake helps Peter find direction in the chapter Clarity, what does he reveal to Peter that happened when he was told by Amanda that he was going to become a father? Hint: Something Jake was ashamed of confessing. What does Kate reveal to Maddy about Karma pertaining to the meeting with Peter under a different name? In the chapter Jolted, Peter’s evening is drastically changed when he finds Tara devastated at the news of her father’s sudden death. How does this affect Peter and his scheduled conversation with Tara? What does he do later that evening to seek solace from the turn of events? What secret do Sheila and Richard keep from Peter? At Mayor Fleming’s press conference for the Historical project, what are the journalists more interested about than the actual library and how does that affect Peter’s response? When Peter visits Amanda and Jake in the Butterflies chapter, what does Amanda vent about that is a constant annoyance pertaining to other women and how does this separate her and her sister in Peter’s eyes? In Demolition, what were the reasons Sheila confessed to Peter over the phone for withholding information from him about Maddy so many years ago? In the chapter confessions, a reporter and photographer do a story for the Boston Tribune. How is that detrimental for Peter later on and what are two signs the universe throws at Peter in this chapter that allows the reader to believe he is being warned? Why is chapter 26 titled “Uncle Hero?” Explain. One of the moments where Peter is in the shower, he has a mental flash of something he hadn’t thought of for years. What was it? The chapter Signals has a few foreboding occurrences that lead the reader to believe that there is an impending doom awaiting, which we later discover is the article in the newspaper. What are the signals before the discovery? What does Maddy recall about that snowy Christmas evening so long ago in the Blessings chapter? How is Peter “Shattered” in more ways than one in that chapter? Explain. The Shoebox is divided in two parts. In the first half we see Peter struggling to make sense of his life and seeking answers and in the second half Peter is a father still struggling to make sense. In both parts Peter remains true to himself and his values. Describe some of Peter’s characteristics and values that remain in tact throughout the story. In the beginning of Part 2 of the book, why is it so important for young Madeline to have Christmas at Sheila and Richards home? In the chapter Pancakes, what does Madeline find with Sheila’s help that opens up a plethora of questions? What do Madeline, Hope and Janey discover about Peter that he is great at in the chapter Balance and why is he great at it? When Maddy is honored at St. Bartholomew’s, what does Maddy refuse to adorn herself with as her sister and mother fret over her appearance? And why do you think she won’t? As the chapter Warnings begins, Richard’s funeral has already taken place and some time has passed. What three events occur that shake Peter’s strength and cause him much pain? After Tara’s death what does Peter tell Amy Tara told him to do? Describe how Tara’s attitude and gesture of naming her daughter give insight on her true character. The chapter Photograph shows a turning point in Peter’s life. The visit to Frani’s diner sheds light on a few things for Peter. Describe what happens to him there and what he reveals about himself. How is the photograph a metaphor for Peter’s life? While Kate and Maddy are rummaging through their parents things during the Estate chapter, what do they find among Anne’s things? In Deliverance, Peter brings Maddy the shoebox and gives her three gifts during the evening together. Name them. Throughout the novel the theme of being “Saved” resurfaces again and again. Discuss how it plays a role in the lives of these two characters. Peter faces his final demons in the final chapter when he sits for the final time in the lifeguard chair during a nor’easter. How does the Chapter title Surrender explain the final moments of Peter’s life? What is he letting go of? What Inspired the story The Shoebox? When I first thought of writing this novel it was about 25 years ago. I was cleaning out my closet in my office when i stumbled across an old shoebox. Among a few postcards, old high school photos and a few old boyfriend mementos I found some letters and cards I had kept and for some reason had never discarded. And as I read through them. . . Peter began to take form.